We hope you are just as excited to celebrate 4th of July as we are. There’s just something great about getting together with family and friends over delicious food and “under” beautiful fireworks. Independence Day was not declared a federal holiday by Congress until 1941, over 160 years after the Declaration of Independence was signed. But don’t think that means we haven’t been celebrating! On July 4th, 1778 George Washington issued double rations of rum to his soldiers. In 1781, Massachusetts became the very first state to make Independence Day a state holiday. Bristol, Rhode Island has been celebrating 4th of July since 1785 and is now noted as the oldest continuous 4th of July celebration! 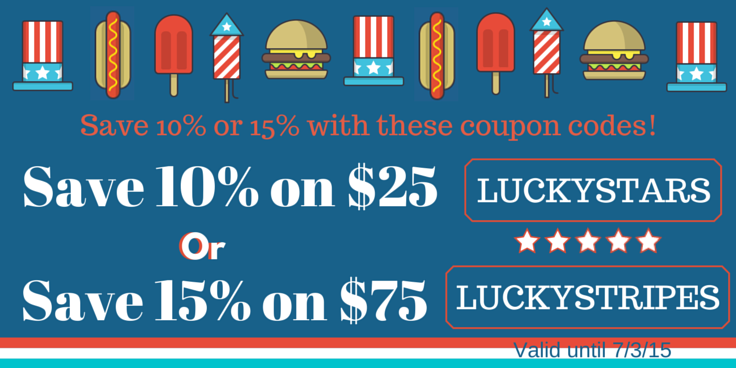 Use Coupon Code: LUCKYSTARS to save 10% on orders of $25 or more. 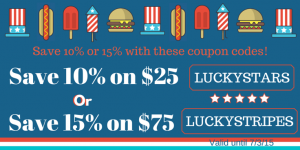 Use Coupon Code: LUCKYSTRIPES to save 15% on purchases of $75 or more. 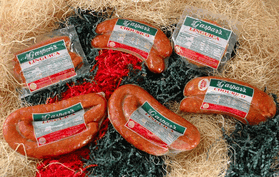 You will find that New England has the best hot dogs, linguica, chourico, and kielbasa. Here are some of our most popular barbecue food items! Make the easy choice for your 4th of July cookout, chose Kayem. The variety of different hot dogs to chose from ensures that you and your guests are full and happy! See Kayem’s savory selection of hot dogs and franks here. Okay, so you’ve got the best hot dogs, linguica, and chourico but do you have the best buns? 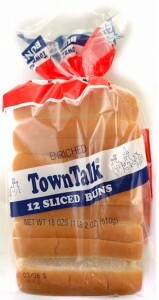 Choose TownTalk split top buns and you will! It’s a regional favorite because it’s so simple to grill both sides to golden perfection. But don’t stop with hot dogs, these type of buns also go decadently with lobster rolls. Enjoy your 4th of July cookouts! 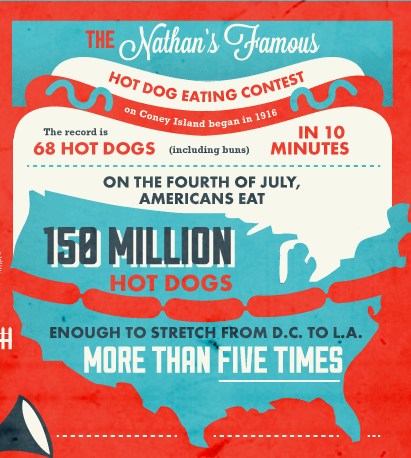 On the 4th of July, Americans eat 150 million hot dogs. That’s enough to stretch from D.C to L.A more than 5 times! The Nathan’s Famous Hot Dog Eating Contest on Coney Island began in 1916. The record for the contest is 68 hot dogs (bun included) in 10 minutes.